What are the Best Phone Systems for Schools in 2017? As a technology leader in education, you're tasked with unlocking leading technology on a limited budget. School district IT Director Doug Johnson writes of his struggle to plan around shrinking budgets, advising his peers to invest in long-term sustainable technologies and purchase multiple technologies from single vendors when possible. Phones are among the most critical communication systems for schools. Without reliable, secure telephony, you're unable to communicate with student's homes or implement safety plans. 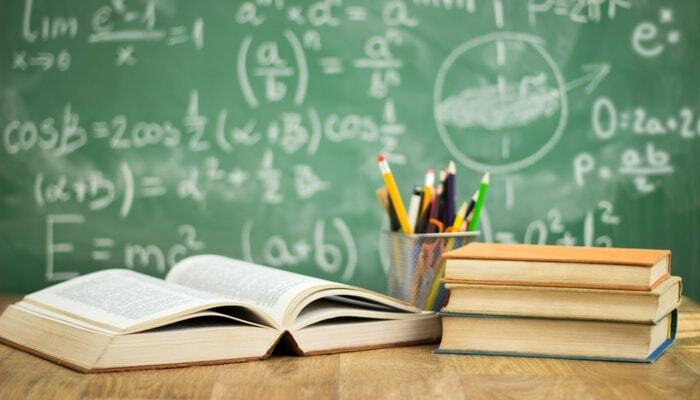 Education IT is increasingly turning to cloud-based private branch exchange (PBX) technology to reduce costs, achieve efficiency, and improve safety and security. In this blog, we'll explore the five characteristics that define the best IP-based phone systems for schools. Schools need constant lines of communication. Cloud-based voice-over-IP (VoIP) telephony offers reliability advantages over traditional plain old telephones (POTs). Unlike copper-based analog phone lines, VoIP with fiber internet technology is not susceptible to inclement weather, vandalism, or interference. Fiber is typically delivered using ring topologies which helps protect against outages. It frequently is terminated in a locked cabinet unlike a PRI or analog lines which terminate in a punch down block. You completely avoid the morass of a ILEC Central Office. Vendors who offer service-level-agreements (SLAs) and practice smart risk management can further enhance your reliability in case of natural disaster or other unexpected incidents. By selecting a provider with built-in redundancy, remote backups, and other commitments to business continuity planning, you can further ensure your phone system won't go down. Phones with a single push-button option for teachers to summon security staff. Phone-based intercom support for school leadership and other authorized staff. Software to send automated voice messages to student's homes about weather closures or absences. Auto attendant, call routing, and interactive voice recognition to reduce administrative work. In addition, your organization can unlock additional safety with 911 features. The right VoIP system can enable campus-wide 911 alerts and help guide emergency personnel to the right location on a large school campus. Your organization needs to drastically scale phone lines up and down to accommodate seasonal and year-to-year fluctuations in your staffing. If you expand your classrooms with portables or expansions, you also need the ability to quickly provide a phone in each classroom. With cloud-based VoIP, district or on-campus IT administrators can quickly add a phone line and connect classroom service by simply plugging in a handset. With vendors that offer flexible billing tailored to the needs of educators, you can save significant money on months when your phone line needs are lower. In many schools, a dedicated classroom for teachers is becoming rarer. Teachers may split their time between multiple classrooms or even schools within a single district. VoIP mobile forwarding allows mobile educators to receive landline calls on a mobile device, allowing you the convenience of assigning a single number to each staff member. VoIP mobility can also improve disaster and emergency planning by enabling staff to reach key personnel quickly when needed. Migrating to vendor-managed PBX can offer some immediate rewards—and long-term financial planning benefits—for schools. 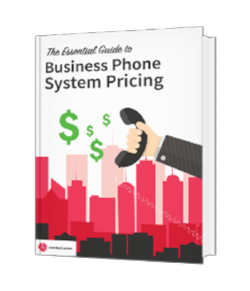 With much lower implementation costs compared to premises-based IP telephony, your organization can enjoy transparent pricing over the long-term based. Transparent monthly billing: Upfront pricing structures that allow you to project your phone bill over the technology lifetime based on simple factors of phone lines and features. Lower operating costs: Your school may be able to eliminate the costs associated with intercom technologies. Cheaper scaling: Instead of having to wait for a phone service technician to make an on-site visit, IT is able to add and change phone lines to meet staffing needs in a matter of minutes. In addition, your school can reap the financial benefits of single vendor purchasing with unified communications (UC). Buying fiber-optic internet connectivity, compliant data services, and VoIP from a single vendor can reduce your recurring technology costs. Education IT professionals are under pressure to unlock secure, highly-reliable tools for communications that will fit into budgetary projections. Making the switch to cloud-based PBX can enable you to centralize your communications and to achieve better safety planning and flexibility at a clear, affordable monthly price. Atlantech Online is the leading provider of cost-sensitive, reliable cloud-based PBX phone systems for schools in the Washington D.C. metro area. For specifics on pricing, click here.